PhotoExperiences: Photography courses, tuition and training in and around Buckinghamshire. A short biography of Peter Jones FSITTP; FSINWP; ASWPP; ARPS; ABBPA; DPAGB. January 2019 awarded Fellowship of the Society of International Nature & Wildlife Photographers at the Society of Photographers' Annual Convention. Second overall place Street Photographer of the Year 2018. Gold Award winner in the Society of Photographers March 2018 Competition. Gold Award winner in the Society of Photographers February 2018 Competition. January 2018 awarded Fellowship of the Society of International Travel and Tourist Photographers at the Society of Photographers' Annual Convention. Gold Award and Highly Commended winner in the Society of Photographers November 2017 Competition. Silver Medallist Nature section in the Sony PAGB Inter Fed. Print & PDI Competition 2017. Winner of two Gold Awards in the Society of Photographers November 2016 Competition. The Society of Photographers' Travel Photographer of the Year 2015. Gold Award winner in the Society of Photographers January 2015 Competition. Gold Award winner in the Society of Wedding & Portrait Photographers May 2011 Competition. January 2011 awarded Associate of the Society of Wedding & Portrait Photographers at the 2011 SWPP Convention. Gold Award winner in the Society of Wedding & Portrait Photographers October 2010 Competition. September 2010: Winner of Alamy's 20 millionth image competition. 2009 - 2010 Chairman of Amersham Photographic Society. 2009 Winner Advanced Class Prints Amersham Photographic Society. Between 2006 and 2009 various gold awards and merits for entry to the Society of Wedding & Portrait Photographers monthly competitions. January 2006 awarded Licentiateship of the Society of Wedding & Portrait Photographers. January 2003 awarded Associate of the British Professional Photographers Associates. April 1997 awarded Distinction of the Photographic Alliance of Great Britain. May 1995 Colne Valley Park Photographer of the Year. April 1995 awarded Associateship of the Royal Photographic Society (prints). April 1995 awarded Associateship of the Royal Photographic Society (slides). April 1992 awarded Licentiateship of the Royal Photographic Society. Peter Jones: September 1991 started photography as a "serious" enthusiast. 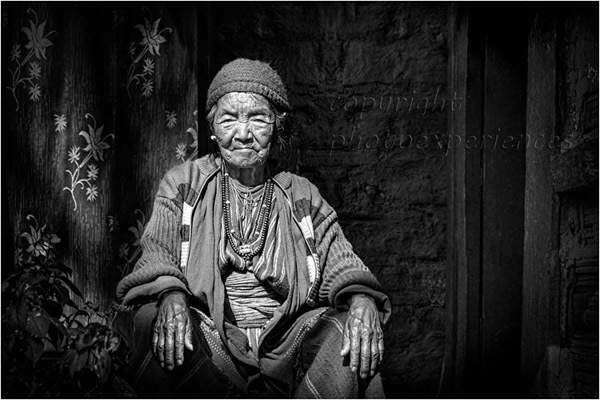 The Societies Travel Photographer of the Year 2015 winning photograph taken near Dirang, Arunachal Pradesh, NE India.